For those who don’t know, I returned to the animation industry a few years ago and have spent the bulk of that time at Atomic Cartoons, mostly drawing storyboards for MARVEL AVENGERS ASSEMBLE. 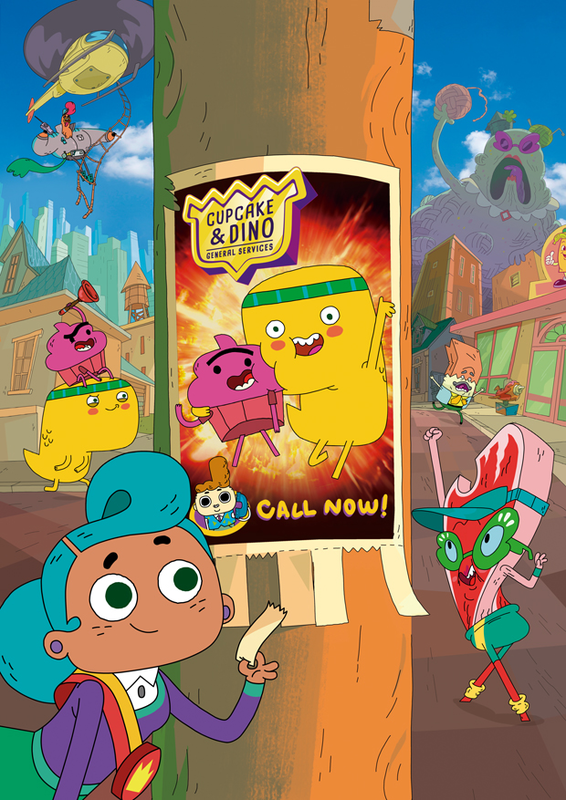 But at the beginning of this year I moved onto a different project which has just been announced: CUPCAKE & DINO! I spent the first half of 2017 as storyboard supervisor on this Netflix original series. It’s a hilarious show about two brothers (one is a cupcake, the other is a dinosaur) who get into adventures as they go on General Services gigs. It was great to be part of such a fun series and work with the storyboard team (hey Steph, Chelsea, Jae, Gary and Kat!) to hash out ideas and establish the show’s sense of comedy. I have much respect for Pedro Eboli, who created & directed the series and was a pleasure to work with. And I tip my hat to everyone else at Atomic, Birdo and EOne who made it an enjoyable experience. I’m proud to have been a part of this project and I totally would have happily stayed on for the rest of Season 1… if I hadn’t been offered the chance to write & direct another show, which I’ll talk about in my next post. Definitely keep an eye out for CUPCAKE & DINO. It will premiere on Netflix in the U.S. and in 2019 it will end up on Teletoon in Canada and on Disney channels in Latin America. Did I mention Cup and Dino’s grandmother is a steak? GRANDMAAA STEEEAAAK!! !